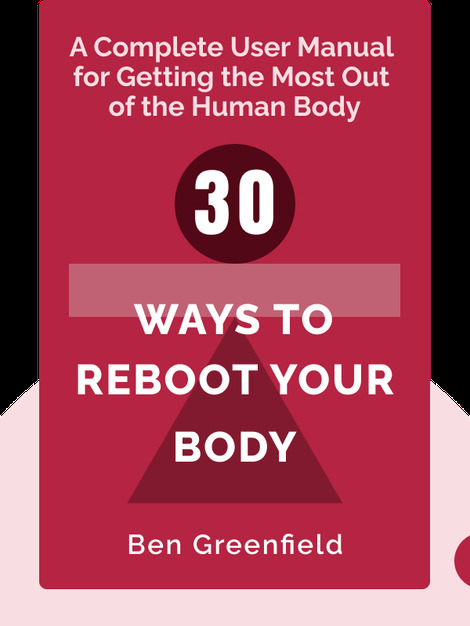 30 Ways to Reboot Your Body (2015) gives you the keys to repairing and regenerating your body so you can take your health and fitness goals to the next level. These blinks explain the importance of digestive health, light exercise and solid routines. Get ready to have your ideas about diet and exercise challenged. 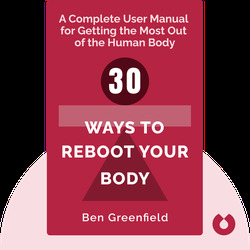 Ben Greenfield is a bestselling author, New York Times writer, former bodybuilder, Ironman triathlete and coach. He is a regular speaker on health and fitness topics.